New book on Botanical Illustration by Leigh Ann Gale to be published in 2018. Leigh Ann’s students from the Caterham Botanical Art Group will be exhibiting their work at this popular gallery in the heart of Croydon. Prints and greeting cards also available, as well as refreshments at the cafe. A contemporary exhibition comprising watercolours by fifty eminent botanical artists is to be staged alongside a display of ‘The Tradescants’ Orchard’, a seventeenth-century volume of sixty-six watercolours depicting fruit varieties that John Tradescant and his son might have grown in their market garden at Lambeth. The artists, invited by The Garden Museum, have selected varieties now considered to be heritage fruits. In the adventurous spirit of the plant-hunting Tradescants, artists from across the globe have embraced the project with works coming from Europe, Korea and USA. The centrepiece of this exhibition will be the display of ‘The Tradescants’ Orchard’, considered one of the Bodleian Library’s finest treasures. The Orchard is a practical document that records the size, colour and texture of fruit with their ripening dates. The fruits are accompanied by charming depictions of birds and insects that will delight the exhibition’s visitors. The Garden Museum, housed in the ancient church of St Mary at Lambeth, will reopen in 2017 after a £7.5 million restoration project. Since it closed its doors in October 2015, it has been impossible to imagine what is going on behind the hoardings on Lambeth Road and what might emerge when the museum reopens in early 2017. The renovated Museum will open with an extensive exhibition to celebrate the Tradescants father and son, gardeners to King Charles I and II, whose magnificent tomb in St Mary’s churchyard inspired the foundation of the Garden Museum. John Tradescant (1580 – 1638) was celebrated for his ability to grow fruits, and at Lambeth he planted an orchard of new and rare varieties. The botanist John Parkinson wrote of plums that, ‘the choysest for goodnesse, and rarest for knowledge, are to be had of my very good friend Master John Tradescante, who hath wonderfully laboured to obtaine all the rarest fruits hee can heare off in any place of Christendome, Turky, yea or the whole world’. The Tradescants’ collection of art and natural history, known as the Tradescant Ark, was one of the great wonders of London. The Garden Museum will re-open in Spring 2017 with an exciting recreation of the Ark. 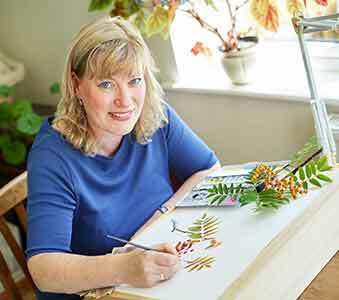 Leigh Ann is currently writing a book for Crowood Press about botanical illustration. 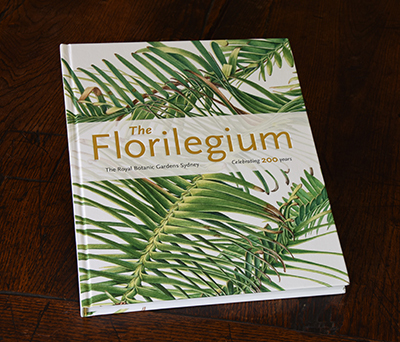 This 200 page hardback publication will be a useful instructional tool for all botanical artists, not only providing in-depth information about the processes of botanical illustration but also featuring a case study charting the progress of a single painting being created from start to finish for the Nymans Florilegium. Additionally, the content will include useful chapters such as specific painting techniques, colour theory and dealing with common problems. With over 150 paintings, photographs and diagrams it will showcase examples of Leigh Ann’s work and feature that of some of her students. This major publication is due for release in the second half of 2018. 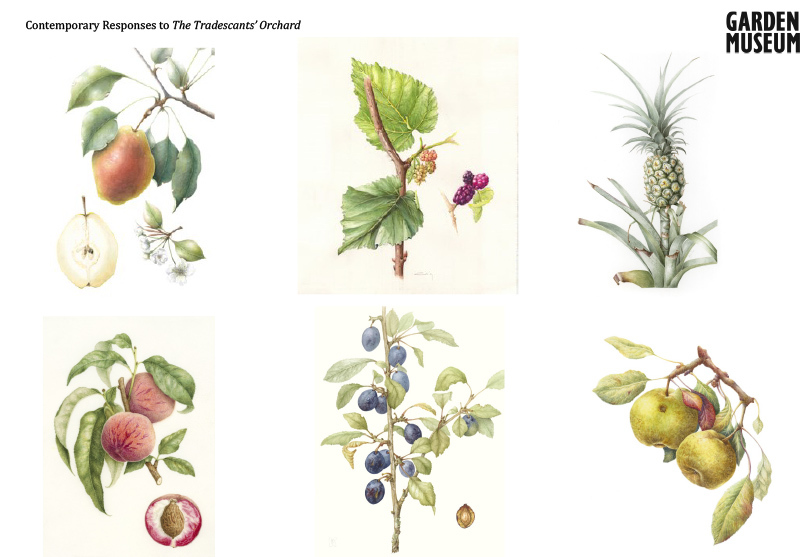 A major botanical art exhibition is currently being held at the Museum of Sydney, Australia celebrating the bicentenary of the Sydney Botanical Garden. It features the work of 64 Australian and international artists of whom 13 are from the UK. Leigh Ann’s painting of Rhododendron oldhamii forms part of this historic exhibition which illustrates the diversity of plants grown by the Royal Botanic Gardens and Domain Trust. A book has been published to accompany the exhibition: ‘The Florilegium: the Royal Botanic Gardens Sydney celebrating 200 years’, and is now available at www.florilegium.com.au. Leigh Ann has had an article published about her in the September edition of the freebie magazine view here.